The Leviathan Celebrate their 1st ever Tourney Championship! First the first time in their 12 year history, the White Stone Leviathan won the League Tournament Championship! 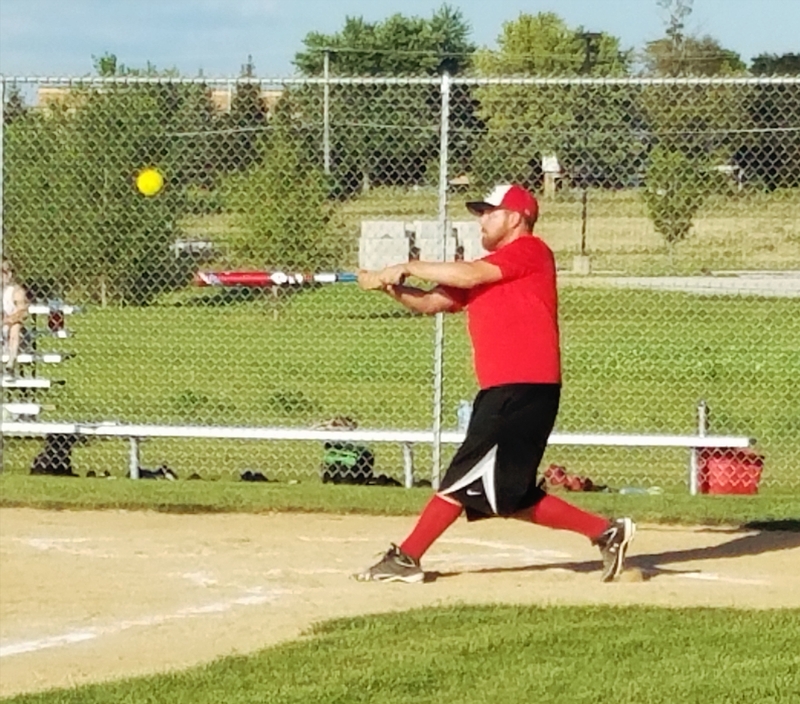 The Leviathan battled their brothers from the White Stone Behemoths and were victorious by a score of 12-6 on Tuesday night at Fireman’s Park in Delafield. After a short break in between games (Behemoth defeated DML 9-3 at Legions earlier that evening), the two teams started the Championship game. There was a lot of excitement in the park as fans were still packing in as the first pitches were thrown by Adam Andrus. The Behemoths jumped out early to a 2-0 lead in the top of the 1st, but the Leviathan got one back in their half of the 1st. After holding the Behemoths scoreless in the 2nd, the Leviathan put together another big inning as they tallied 8 men home to take a commanding 9-2 lead. The game wouldn’t see much more scoring as teams went back and forth with 1 run innings. Going into the last inning (top 7), the Behemoths were down 8 and needed a huge inning. The first few guys reached base and things were looking a bit scary for the Leviathan as 2 runs were knocked in. The guys in red regained their composure after a few errors and made enough plays to get the 3 outs needed and earned their first-ever Tournament Championship! The Championship game had many stars. Defensively, Adam Andrus pitched a gem as he held a high-powered Behemoth offense to only 6 runs on the night. Also, 3rd baseman Noah Jeanson and left-fielder Jake Andrus both made spectacular diving plays in the field. A few players shined at the plate for the Leviathan: Noah Jeanson (2-3, 2B, HR, 2R, 3RBI), Matt Sell (2-2, 2B, R, 2RBI), Luke Schweng (2-3, R, 2RBI), and Brad Fraser (2-3, 2R, RBI). After the game, the guys celebrated with hugs and high fives–and player/manager Adam Andrus was doused with Lemon-Lime Gatorade. The championship is especially significant to players Matt Sell, Luke Dye, Adam Andrus, Josh Watson, & Jake Andrus who have been on the team since it’s first year in the league back in 2007. The Leviathan finish the season with an 11-1 overall record while winning the 2018 League Championship and winning the 2018 League Tournament Championship. Congrats to all the players who have played so hard this entire season! Also, a huge thanks to the remarkable Leviathan fans who have supported this team all summer long. The Leviathan have advanced to their first ever Championship game by defeating Oakwood Red by a score of 15-11 at Fireman’s Park on Tuesday night. The game started slowly for the Leviathan on Tuesday night, trailing to Oakwood Red by a score of 5-0 after the top of the 2nd inning, but the guys responded with 3 runs in the bottom of the second and 10 runs in the bottom of the 3rd to give them the lead for good. The guys had some great fielding and some key hits that led to the W. Some of the key offensive players were: Adam Andrus (3-4, 2B, 2R, RBI), Caleb Dye (2-3, 2B, 3B, R, 4RBI), Brad Fraser (3-3, 3R, RBI), Logan Matenaer (3-3, 2 2B, 2R), Matt Sell (1-2, 3B, R, 2RBI), and Josh Watson (2-4, R, 2RBI). The #1 seed Leviathan now face #3 seed White Stone Behemoth in an epic showdown to determine the League Tournament Champion. This will be the first ever Championship for the team that is victorious. The 1st and 2nd rounds of the league playoffs were completed last night, and we now have our Final Four! 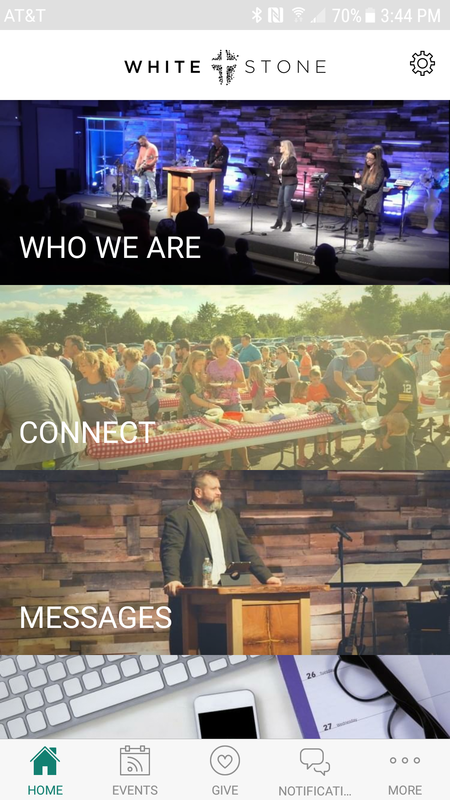 The teams trying to win the tournament championship are (by seed): #1 White Stone Leviathan, #2 Dr Martin Luther Church, #3 White Stone Behemoth, and #4 Oakwood Red. Only one week after receiving their first loss of the year at the hand of the Holy Name team, the Leviathan returned the favor and advanced to the league tournament semifinals with a 22-8 win. A combination of hot bats, aggressive baserunning, and solid defense and pitching were the winning formula on Tuesday night. All around, a great start to the league tournament. There were many offensive standouts for the Leviathan: Brian Zastrow (4-4, HR, 2B, 3R, 3RBI), Noah Jeanson (3-4, 2R, 2RBI), and Josh Watson (3-4, HR, 2B, 3R, 4RBI). Max Cavaini and Logan Matenaer also added 3 hits each while Luke Dye blasted a homerun to left field and added 3 RBI. Thanks to all the fans who have come out to support the guys this season! 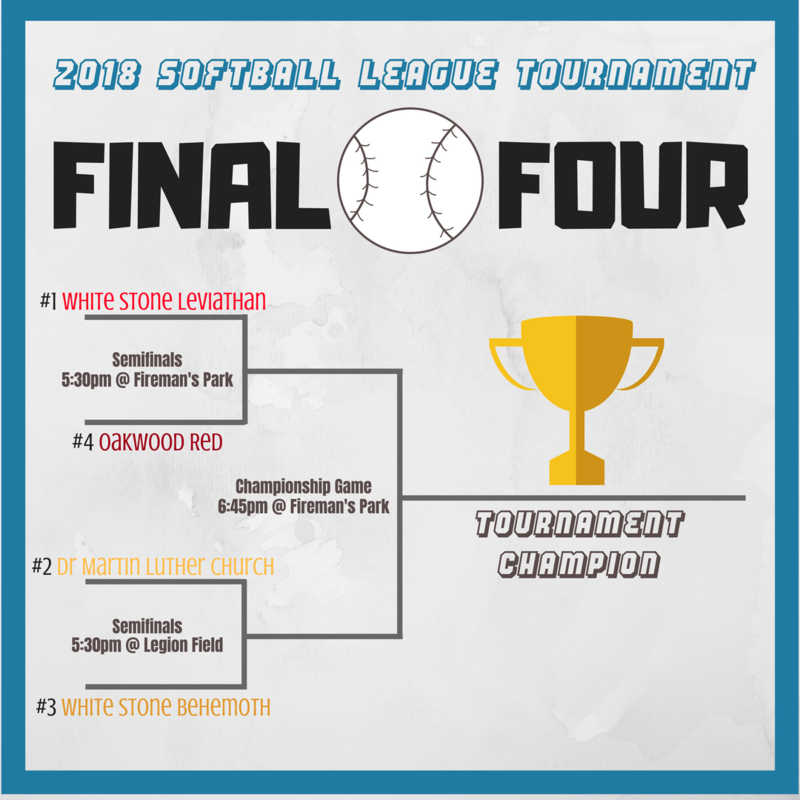 Continue cheering for both White Stone teams (remaining in the playoffs) as the Leviathan play next Tuesday @5:30pm at Fireman’s Park and the White Stone Behemoth will play @5:30pm at Legion Field. If both teams win they will face each other in the league tournament championship game! It was the Semi-Finals for the League Playoffs & it was another hot gameday for the Leviathan—unfortunately, their bats weren’t quite as hot as the temperature. Either was their fielding. 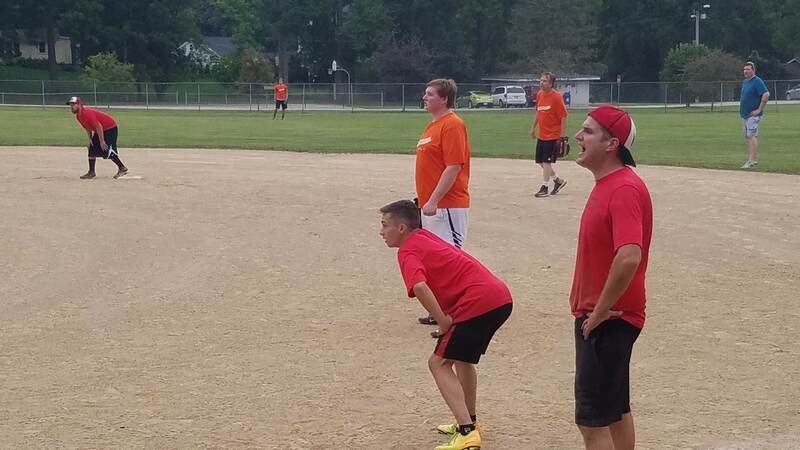 Holy Name Church put a beating on the Leviathan by a score of 26-12 on Tuesday night at the YMCA @ Pabst Farms. The Game got off to a rough start as Holy Name took advantage of some costly Leviathan errors and put up 10 runs in the opening inning, to take a 10-2 lead. The 2nd and 3rd innings were not much better, as the Leviathan were shutout and Holy Name added to their lead. 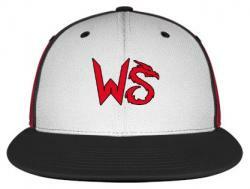 After 3 innings, White Stone trailed 17-2. 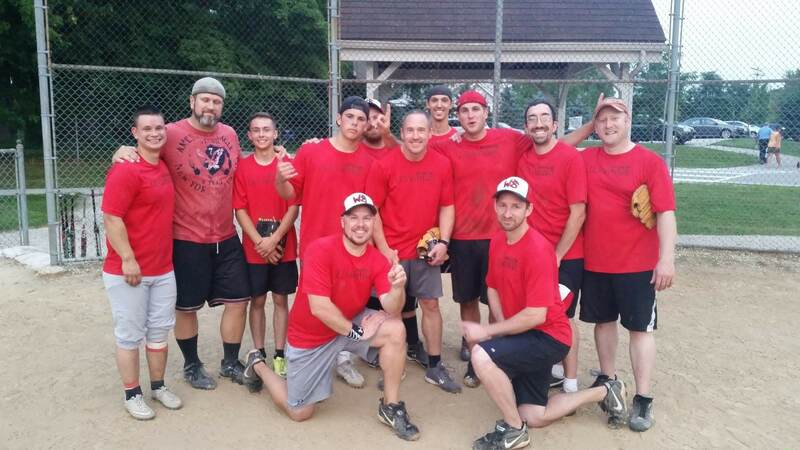 Holy Name Church had their power bats going, as they blasted 10 homeruns on the night—the most put up ever against the Leviathan. The guys in red made it interesting as they scored 7 runs in the top of the 4th, to make it 17-9, but HNC answered with 4 in the bottom of the 4th (21-9). The game finally ended with the Leviathan falling by a score of 26-12. The offensive leaders for the night were Brad Fraser (3-3, 3B, R, 2RBI), Tigh Kemnitz (3-4, 3R), Brian Wiemer (2-3, 2B, R, 2RBI), Jake Andrus (2-3, 2 doubles, 2R, 2RBI), and Josh Watson (2-3, 2B, R, RBI). The White Stone Leviathan finish the 2016 with a record of 6-7, which is their first losing season since 2008 (5-6-1). Leviathan Stun Behemoth in 2nd Round! Round 2 of the League Playoffs (Aug 2, 7pm) saw the top 2 White Stone teams face off in a battle between Regular Season Champion White Stone Behemoth vs the White Stone Leviathan. In their previous 2016 match-up, the Behemoth destroyed the Leviathan by a score of 21-7…and the score makes the game appear closer than it really was! But Tuesday night was different. The Leviathan just came off their 10-7 1st Round win and had momentum on their side. The 1st inning saw the visiting Leviathan jump out to a 4-1 early lead—and it was a lead they would never relinquish. With a 7-spot in the 3rd inning, the score was suddenly 12-2. The Behemoth mounted a small comeback by putting up 4 runs in the 6th inning, but it wasn’t enough. The final score was Leviathan 14, Behemoth 7. Adam Andrus pitched another fantastic game, actually striking out more batters than he walked. Josh Watson blasted 2 homers, while 3rd Baseman Brian Wiemer belted a home run of his own. Some of the offensive leaders for the game were Josh Watson (3-3, 2 HR, 2R, 4RBI), Brian Wiemer (2-3, 3B, HR, R, 4RBI), Brian Zastrow (2-2, 2R, 2RBI), Jake Andrus (3-4, 2 doubles, 2R, 2RBI), and Luke Schweng (2-3). The Leviathan improve their season record to 6-6, while the Behemoth fall for only the 2nd time all season (9-2). Congrats to the Behemoth for an amazing season, where they were definitely the most talented team in the league. 9-2 and a regular season championship is certainly something to be proud of! The Leviathan now move on to the 3rd Round of the League Playoffs for the 4th time in their history, and they will face Holy Name on Tuesday, August 9th @ 6:30pm @ The YMCA at Pabst Farms. Please come on out and support the guys! So far, our fans have undoubtedly been the best fans in the league!!! You guys rock! !